Welcome to Honor and Daring. My name is Michael Sebastian. I am a Catholic attorney married to a beautiful woman. We are the parents of two young boys. 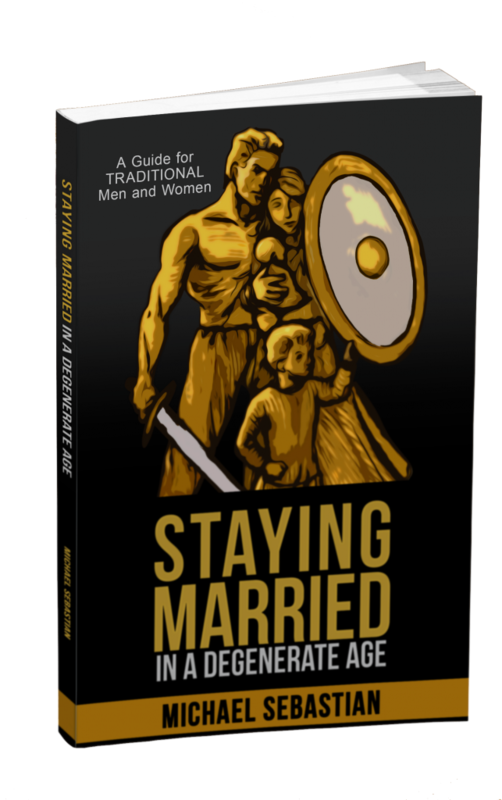 I am also the author of Staying Married in a Degenerate Age and I write a weekly column for Return of Kings. I believe that Western Civilization is approaching a crisis period that will bring about dramatic changes to how we live our lives. The solution to this crisis lies in a return to traditional masculinity. Honor and Daring is dedicated to helping men thrive in every area of their lives: financially, physically, spiritually, romantically, and as fathers—regardless of what happens. Big things changes are coming to Honor and Daring in 2018. Be sure to sign-up in the box on the right to be the first to find out. To get the most of this site, please start with The Coming Storm. Here are some articles that serve as a good introduction to Honor and Daring. How Much Game Do You Need? Does Christianity Lead to Liberalism?